Hired Gun Weed & Pest Control, is the right choice for every season! With our fleet of snow plows and heavy equipment, we can dig you out of any situation. 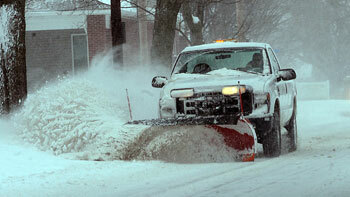 Our snow removal programs are built around you and your needs. Let Hired Gun Weed & Pest Control take care of the winter work! Consistent and timely performance is key when it comes to snow removal, we provide a fast safe service giving you a snow and ice free property. We set up scheduled services, so you never have to worry about getting out the shovels. We setup triggers to activate our services, such as the amount of snow, the time the storm starts and or we can keep a zero tolerance maintenance plan.